What's happening everyone! Today I'm here to tell you how you could be possibly shortchanging your child's financial literacy development. Interests. We want our children to take something up, a hobby for example, because we know focusing on an activity is great for their brain's analytical development. Whereas some children get absorbed by some things on their own, i.e., they don't need much in the form of parental motivation, other children need prodding. We take them to specialty toy stores, science museums, the zoo, and in general, places we think would interest our children. Eventually, these kids do find something they like and want more of. 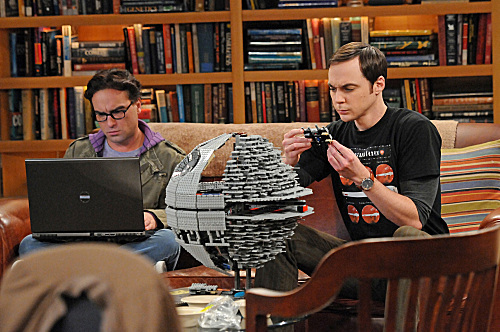 I've seen kids that are Lego geniuses, capable of building the Star Wars Death Star with one hand tied behind their backs. I've been impressed by children on YouTube video who play instruments (guitar, piano, etc.) like professionals. No doubt these children started "playing" with their instrument of choice as toddlers. Some kids like spending time in the garden with their green thumb mom or dad. In the same way adults are asked to consider taking a "hobby" to the next level, so should children. For example, I have a retired friend who has been building bicycles, like literally taking a bike frame and adding parts one by one until creating a masterpiece, for over twenty years. He loves bicycles. He rides them, and custom builds them for his family and friends. Recently, he has started building custom bikes for people in his central coast CA community. They are paying him for his skill and eye in finding great deals (on frames, parts, etc.) on Craigslist. He has taken his hobby and turned it into a way to make extra money on the side. One of my friend's custom built bike. We give each other this advice all the time, right? "Hey, you're really good at Salsa dancing...why don't you charge for personal lessons?" Well, what about our children? Why aren't we pushing them to dabble in business? 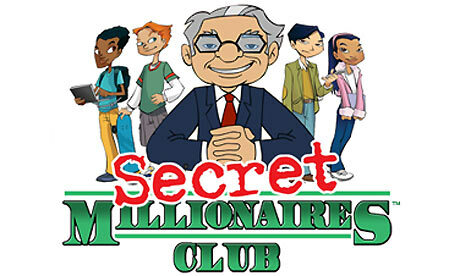 Secret Millionaires Club Learn and Earn is a site that treats children as fully capable people, giving parents the tools they need to take a child from hobbyist to entrepreneur. 1) Can you think of a way to turn your love of raising rabbits, building Lego structures, growing tomatoes, caring for your dog/cat, e.g., into a business? Meaning, as a way to make money? 2) How could you sell what you know how to do with your crafts, your baking, e.g., to others? Have them do a brainstorm. If they don't know what brainstorming is, teach this thinking exercise to them. Make sure you tell them that there are no wrong answers in a brainstorm. It's simply throwing ideas out there. Who knows, they may actually come up with a viable idea for a business that with your help, can turn into a business plan. Why did the majority of us wait until we were adults to start our first business? Because we were never challenged to think about making money at a young age! Our parents, though wonderful at providing, may have never encouraged the natural entrepreneurial spirit many children have. And instead of having tried and failed at multiple businesses by the time we became adults, most of us had nothing in the tool belt of life experience to get underway in the world of business and money. Being a serial entrepreneur begins at a young age. The successful entrepreneurs of today started as children with a lemonade stand or a cookie sheet, you get the picture. If this seems foreign to you, then use the great resource I've provided here today, smckids.com, as a guide. Don't shortchange your kids. Expose them to business concepts at a young age! Thanks for reading. If you liked this post, make sure to subscribe and keep getting more like them in your inbox so you never miss out. C-los, out!